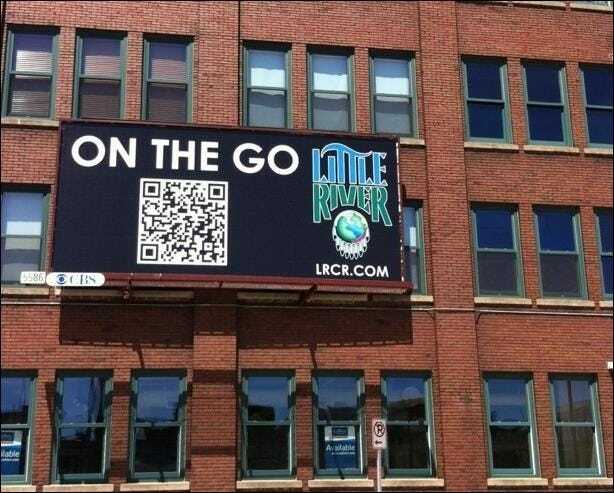 QR codes are plastered on advertisements, billboards, business windows, and products. They appear to be very popular among marketers, although it’s rare to see anyone actually scanning one. These barcodes can be captured with a smartphone camera — for example, a typical QR code may contain an URL. Scan the QR code with a mobile phone and you’ll be taken to the website the QR code specifies. Short for “Quick Response code,” QR codes are square barcodes first developed in Japan. Unlike traditional UPC barcodes, which are made up of a number of horizontal lines, a QR code can be captured more quickly and can contain more information. QR codes are machine-readable labels — computers can understand them much more easily than they can understand text. QR codes are used for everything from tracking products to identifying items — typical tasks where they function as improved UPC barcodes. However, QR codes aren’t just a stuffy technology used to track items in warehouses and scan products at the checkout counter. They’ve moved into the consumer realm, where they’re found all over the place on advertisements, business windows, product packaging, billboards on the side of the road, and even on some websites. For us consumers (not people working in warehouses), QR codes are intended to be a quick way to perform an action with your phone. Unlike near-field communication (NFC), QR codes don’t contain any fancy electronics or require special technology — they’re just a grid of white and black printed on a piece of paper that can be captured with any camera. For example, you may see a barcode on a billboard, business window, or a product’s packaging. After being scanned in this way, a typical QR code would probably take you directly to the businesses’ website. In this case, the QR code contains a website address (URL.) The point of the QR code is to allow you to easily access their website without typing any web addresses into your phone — just by scanning a picture. QR codes can also be used for other purposes. For example, when you set up Google Authenticator, Google’s two-factor authentication system, Google will show a QR code on your computer screen. This QR code can be scanned with the Google Authenticator app on your smartphone and your smartphone will automatically fill in your authenticator information. This is much more convenient than manually typing in an authentication code and checking to see if it was typed correctly. In this case, a QR code is being used to allow a computer and smartphone to communicate with each other. They don’t have to initiate any sort of connection or even be on the same network — the smartphone just has to be able to capture the computer’s screen. QR codes can also be used to log into websites. 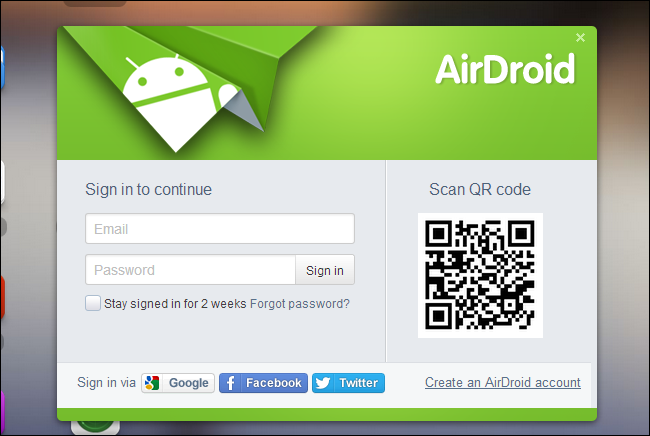 AirDroid allows you to log in by scanning a QR code displayed on your screen with the AirDroid app. Scanning the code proves you have access to both the smartphone and the computer, so you don’t have to enter a password. QR codes do have their uses. They’re a low-tech solution that works on any device (as long as one of them has a camera), unlike more complicated technologies like NFC. The way QR codes make setting up Google Authenticator much easier validates their usefulness in certain circumstances, and they’re a more advanced technology than traditional UPC barcodes for businesses that need to track and identify products. However, let’s be honest — most QR codes we encounter in our day-to-day lives are on billboards, business windows, pamphlets, and product packaging, and they haven’t taken the world by storm like advertisers and marketers would have liked them to. To use a QR code, someone has to have a dedicated barcode reader app on their phone, launch the app, and scan the barcode to visit the website. In the same time, they could just have typed a short URL for the website or performed a Google search for it. To make matters worse, scanning a QR code can be complicated by the need to capture it at the appropriate angle, with enough light for the camera to see it, and without camera movement. How Can I Use QR Codes? 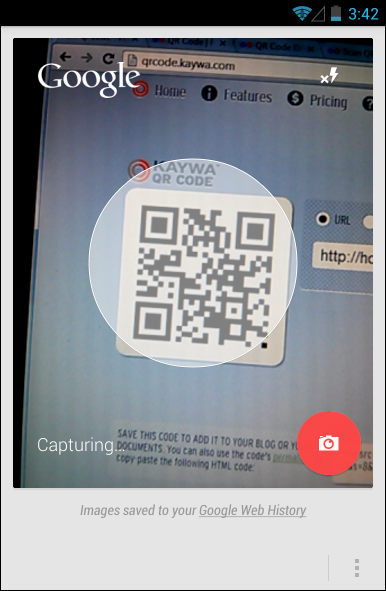 If you want to use QR codes, all you’ll need is a barcode reader app on your smartphone. Android: Android has an included barcode reader that you can access by performing the “scan a barcode” voice action. You can also use an app like Google’s own Google Goggles or the popular Barcode Scanner. iPhone: iOS has many QR code scanner apps, including the popular RedLaser. Just open your app, start a scan, point it at a QR code, and the app should recognize and take action based on the QR code — generally opening its website in your browser. Dedicated apps that use QR codes (such as Google Authenticator), have their own QR code scanners that they’ll launch when you need to perform a scan. You don’t need to use a separate app for this. QR codes actually have some security problems — it would be easy for an attacker to print a QR code with a malicious URL on a sticker and affix it over a QR code in a high-traffic area. A QR code redirects you to an URL in your mobile browser, so it would be possible to take the user to a phishing site or a page that exploited a vulnerability in their mobile operating system.